This video was shared with WPI Hunts the Truth.  Filmed on Saturday, June 23, 2018, it seems to show a formation of flashing lights hovering over Long Lake near Dundee, Wisconsin. There is a long history of similar UFO sightings in Dundee. We were there the following day exploring Long Lake and the nearby Dundee Mountain, which some believe may be the source of the area’s mysterious occurrences. While there have been numerous strange objects witnessed in the sky in the middle of the day near Long Lake, we didn’t happen to see anything. Have you seen something like this in the Dundee area? Share your experience in the comments below or report it here.